The largest club in the area. We are proud to have been established nearly 40 years ago in the beautiful natura2000 site of Le Lez River. In addition to being a quiet and ideal place for the family, the club is located near Lunaret Zoo, Montpellier’s free zoo, as well as the Lunaret reserve which runs along Le Lez River. The developed spaces all around in this green environment will delight those of all ages. Only 15min away from the centre of Montpellier, our club is definitely the best destination if you want to escape the bustle of the city. For the exact location please see the map linked on the banner on the right. Away from the busy Montpellier come and discover canoe-kayak and stand up paddle in a beautiful green setting on our 1km course. You will be able to choose between a single-seater canoe or a two seater as well as a stand up paddle. 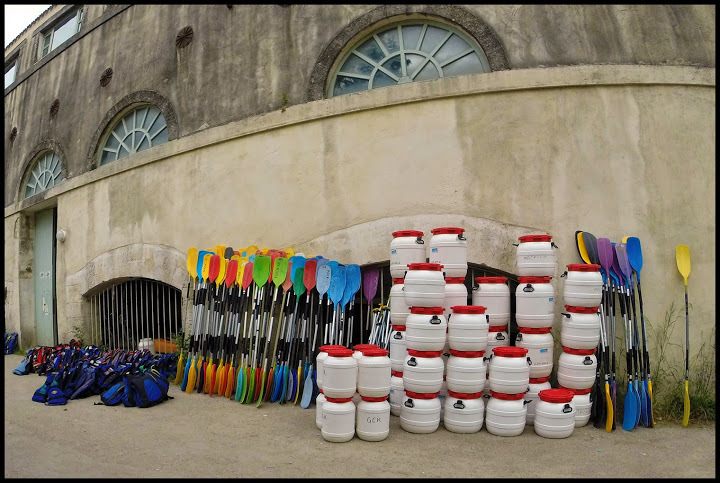 Prior requirements: If you want to book multiple canoe/sup, please contact us in advance. If you feel more adventurous we also suggest “la descente du Lez” : the 22nd or 29th of may, due to strict regulations on the natural reserve; and every week-end during July-August. You will discover untouched parts of the river with a professional instructor. Prices may vary between 20€ to 25€ per person. Booking is mandatory; feel free to contact us for more information. 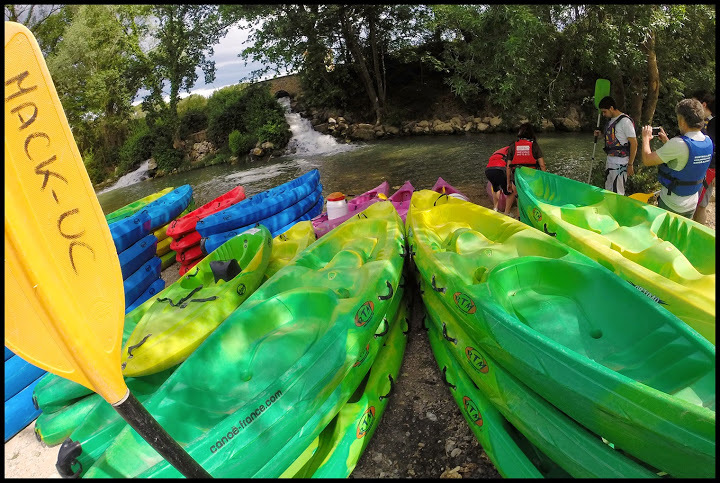 If you feel even more adventurous, if you want to discover special rivers or lakes in the area or if you want to organise a birthday for example, we also have solutions for you. We will take care of the organisation (equipment, shuttle, breaks..) with professional instructors who will guide you during the day. This offer is for groups only (minimum 7 person). Please do not hesitate to contact us; so we can give you a quote for your project. Looking for outdoor activities for summer ? Seek no further, we have what you need ! The summer camps will give your children the chance to share outdoor activities in a group led by professional instructors. There is only a limited number of 16 places for each camp so do not delay ! Booking is mandatory; feel free to contact us for more information. 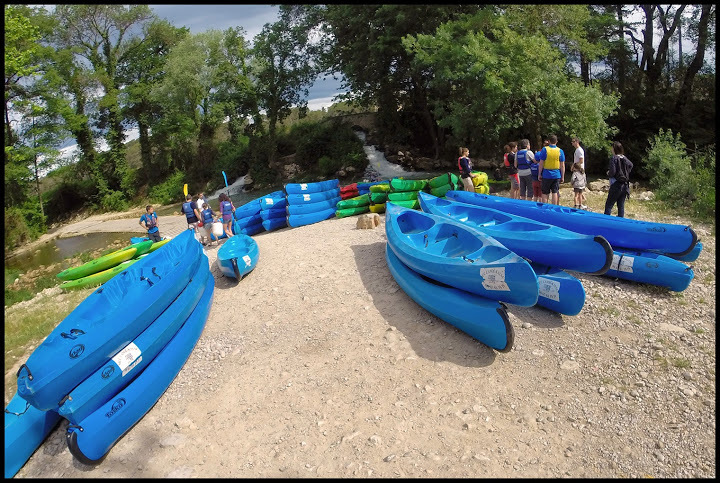 – Discovering, with your company, through canoe-kayak, the beautiful area of l’Hérault in south of France. We will be pleased to answer any questions you may have on our services and help you set up the right program.